Another Indonesian restaurant here. Even though from it place looks like cafe rather than Indonesian Restaurant. I did not see much of Indonesia decoration or theme here. Demenu is spotted at 5th floor, Grand Indonesia mall. It is quite visible when you're up from the escalator east mall. Also since it has bright light letter signage just right up the restaurant. The restaurant has cafe concept with wooden floor and chairs, brick pattern on walls, and they also have outside part face out to the front of restaurant. 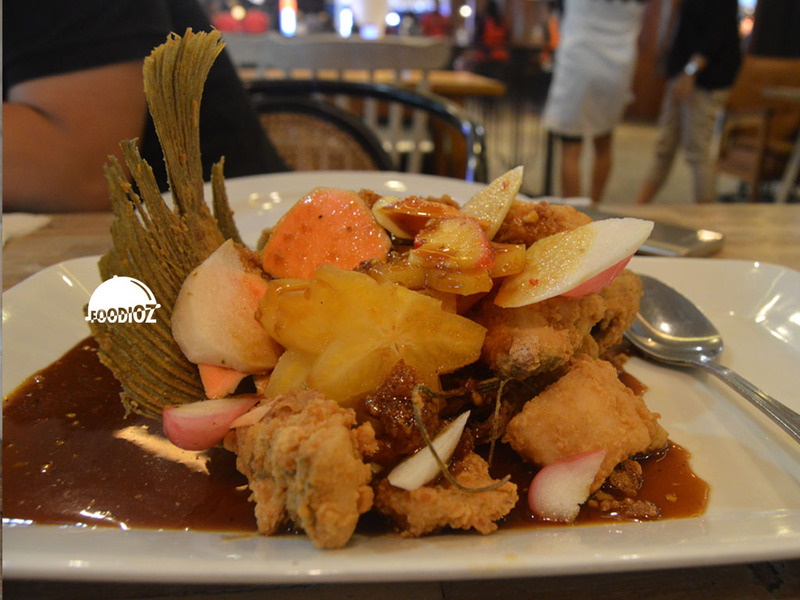 I ordered the "Gurame Bumbu Rujak" It is a fried Gurame fish with Rujak (Indonesian Typical Fruits Salad) sauce. Actually it has great taste especially the sauce sure is tasty. And fish also cooked nicely, it has crunchy bite outside and soft texture inside. But too bad fillet is not good enough which is a lot of fish bone made me really not comfortable to eat it. Next dish is "Tumis Pare Teri Medan" It is sauteed bitter beans with anchovy and chili. it is good! bitter beans cooked well done and it perfect seasoning. 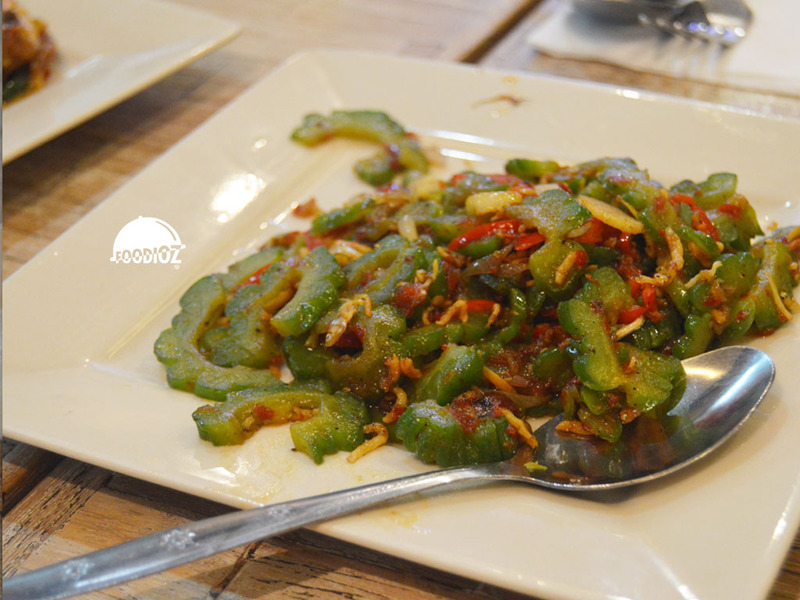 It is bit salty since it has the anchovy as typical of Indonesian style, salty anchovy. I do love it though. 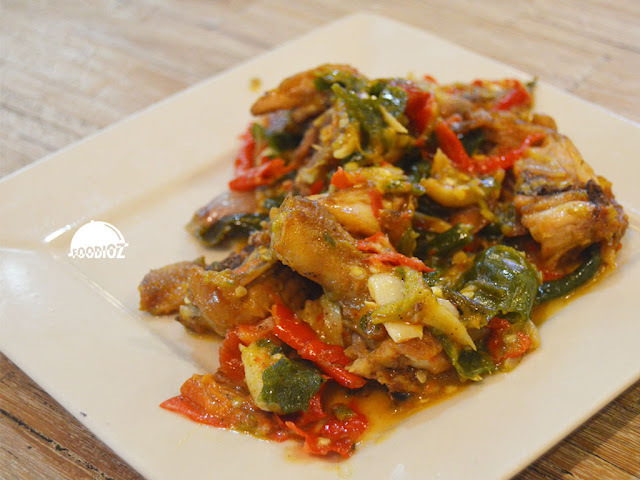 And the last dish is "Ayam Goreng Pedas Rawit" Fried chicken with cut of chili. From presentation, it looks really spicy with many of chili poured on the chicken. But actually it is not really that spicy. It is quite good, fresh and tasty seasoning and chicken cooked nicely but i just think cut of chicken somehow it too tiny, i almost couldn't taste the meat than the bone.